At Football Addicts we work constantly to try and improve Forza Football to make your user experience even better. One part of the work is to keep track of which competitions and teams you follow with most interest - and make sure to present those matches extra well. By examining your behaviour in the app we get the information we need. We can, for example, see how the popularity of the leagues and teams changes a bit during the year since the interest depends on the time of the year, the teams’ results and if big players and coaches change clubs. 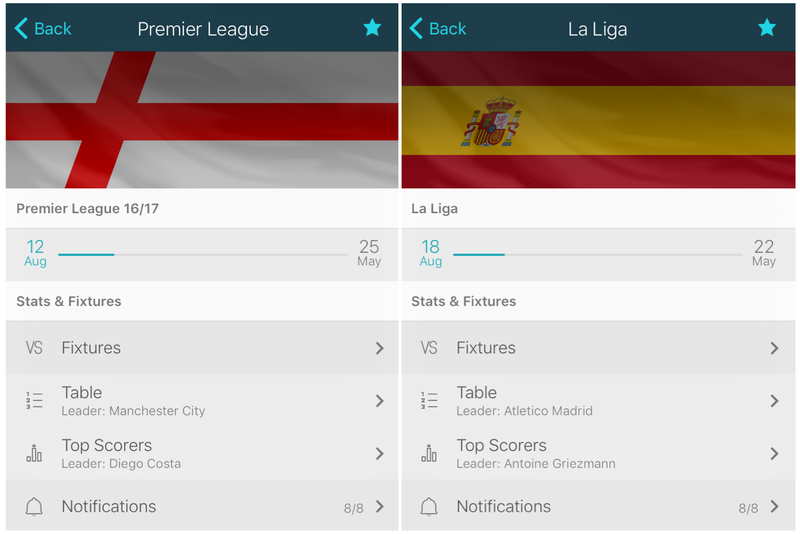 Right now (well, in September 2016) there are two leagues that stand out in popularity among the Forza Football users: the English Premier League and Spanish La Liga, with the one mentioned first topping the chart in most countries. There are a some exceptions though where the local league(s) is clearly the strongest or high up in the ranking table, like in Brazil, Turkey and Argentina. Since we have stats from all countries around the globe we won’t be able to publish it all here. Give us a shout on Twitter or Facebook if you would like more info on the standing in your particular country! Let's start checking the results in countries where we have many many users. Note: We checked the totalt amount of clicks by unique users on matches in the different leagues during the month of September 2016. 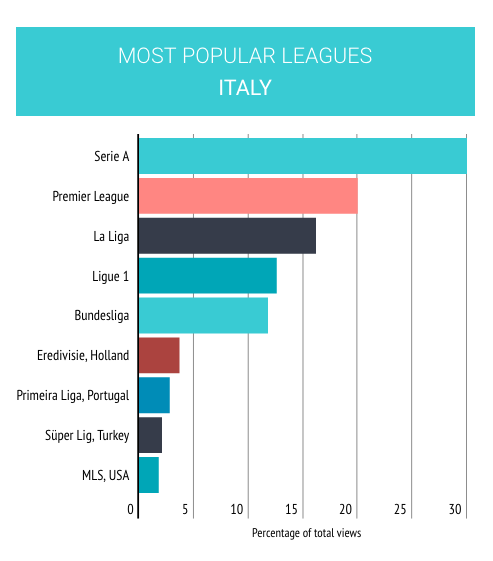 Note: We are only counting the top leagues in each country in these graphs, but local Serie B is actually number five in the popularity rankning and the English Championship number nine in Italy. 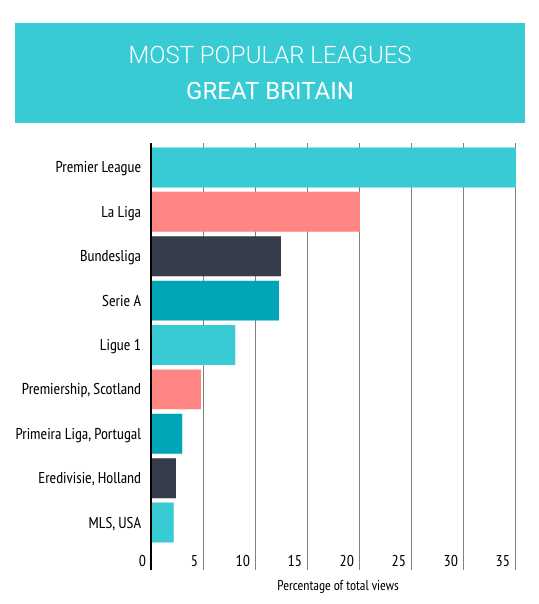 Note: The Championship is of course popular on the British Isles. It is fifth in the overall ranking, above Ligue 1. Note: The English Championship would push the Argentinian top league off the chart. 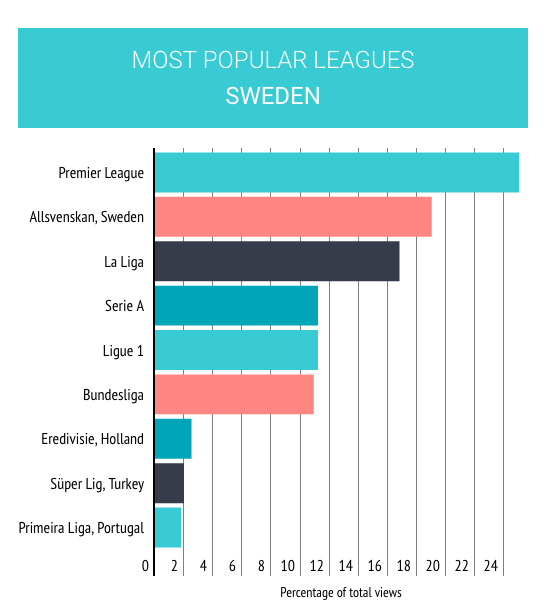 Note: Superettan, the Swedish second-tier, and the English Championship rank higher than Eredivisie, Süper Lig and Primeira Liga among our users in Sweden. Note: The 2. 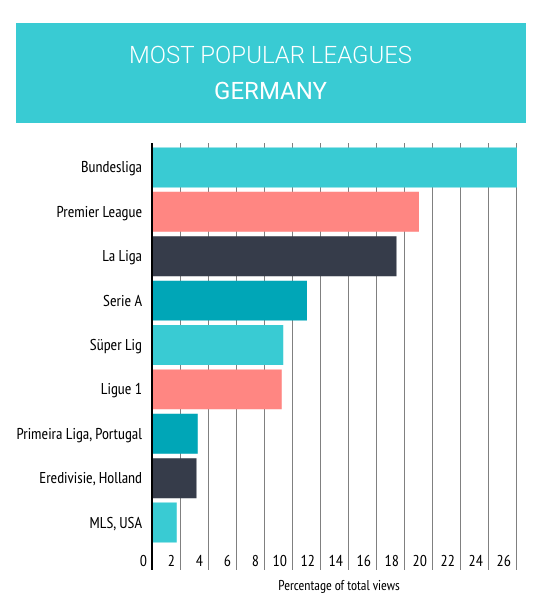 Bundesliga is the overall fourth most visited league in Germany. 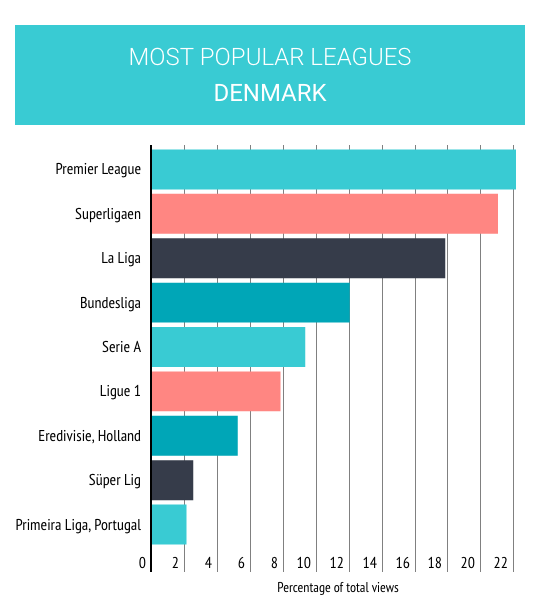 Note: The Danish second-tier 1. 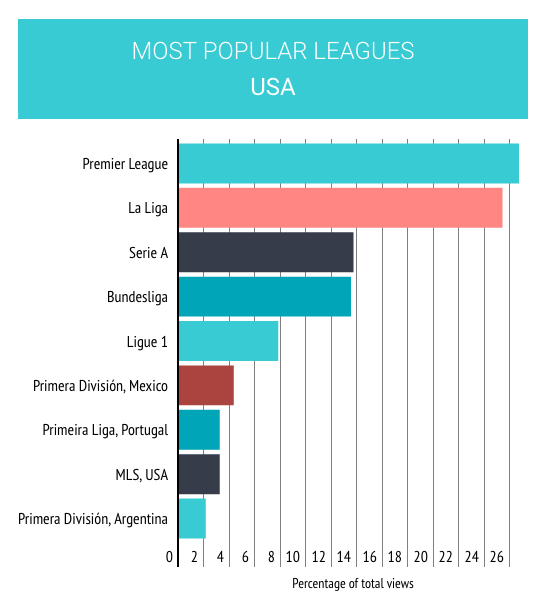 Division is actually the seventh most visited league over there while the English Championship is number eight on the list. 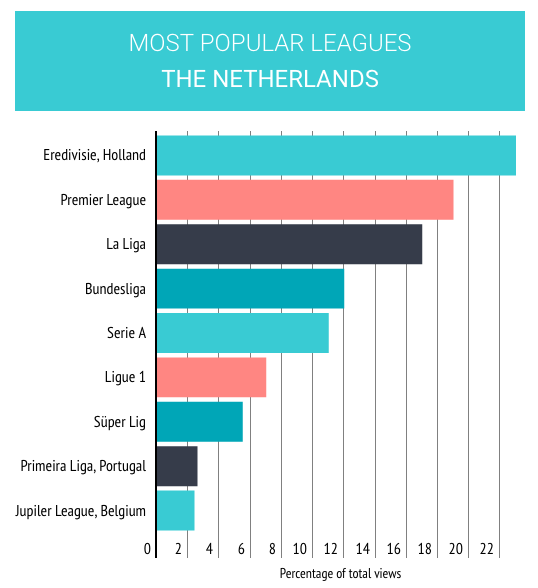 Note: The Dutch second-tier, Eerste Divisie, is the sixth most visited league among the Forza users in Holland. The English Championship the tenth. 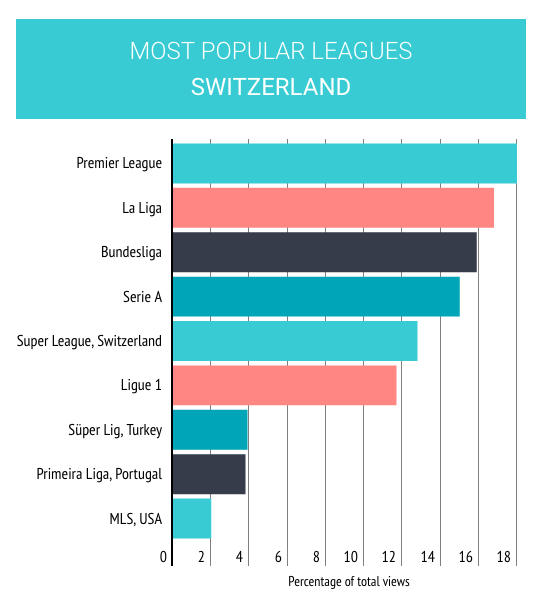 Note: The Swiss second-tier Challenge League is actually the seventh most visited league among our users in the country. 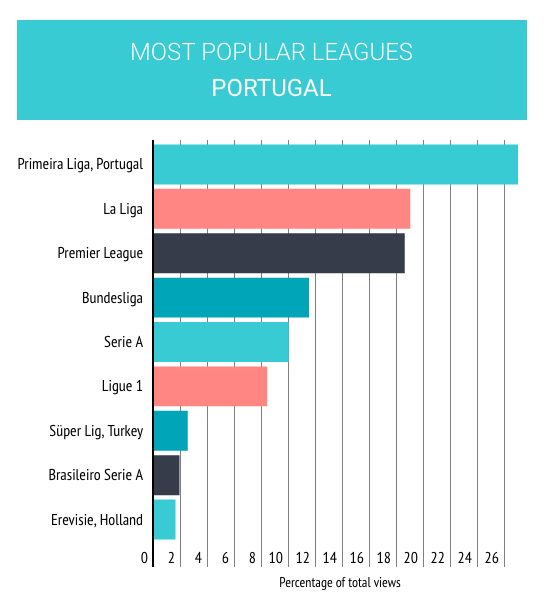 Note: The Portuguese second-tier Segunda Liga is the sixth most visited league while the English Championship is number nine. 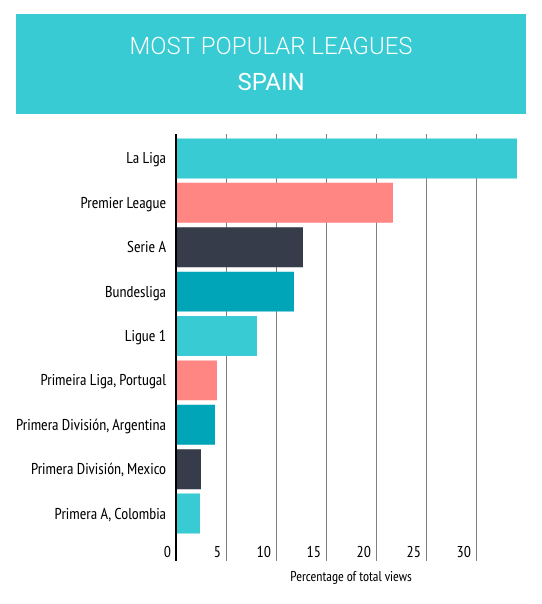 Note: Spanish La Segunda was during September 2016 as popular as Ligue 1 among the Forza Football users. That will be all for today, friends. Check back soon for a blog post about the hottest teams in your country.